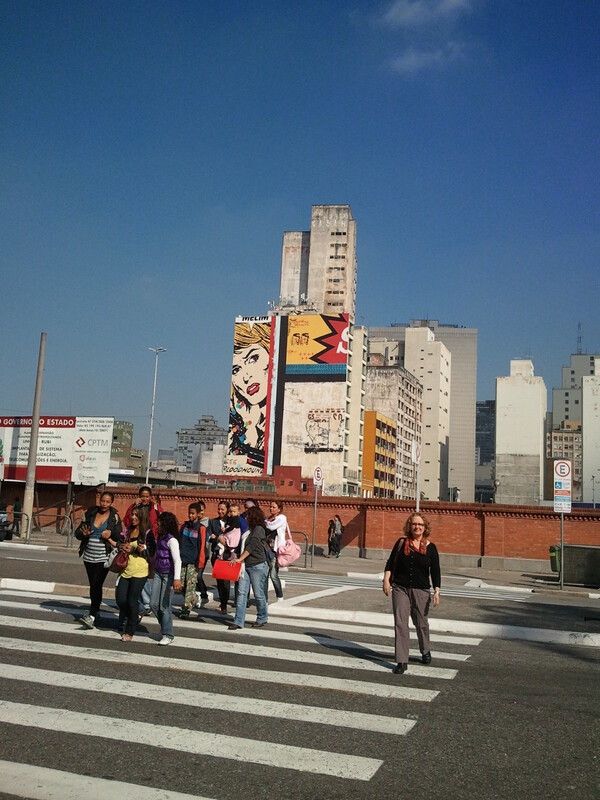 Standing outside the Sao Paulo state art gallery, it’s as though the city is trying to make a point of its own about art: this enormous mural on the side of a nearby building seems to say “Art is everywhere, not just in there!” as the groups of guided children are escorted in. The building itself, once a vocational school for the applied arts, has been ‘made over’ sensitively, and houses a fine collection of painting and sculpture, as well as putting on a programme of events, and an education programme. The cafe is decent too. 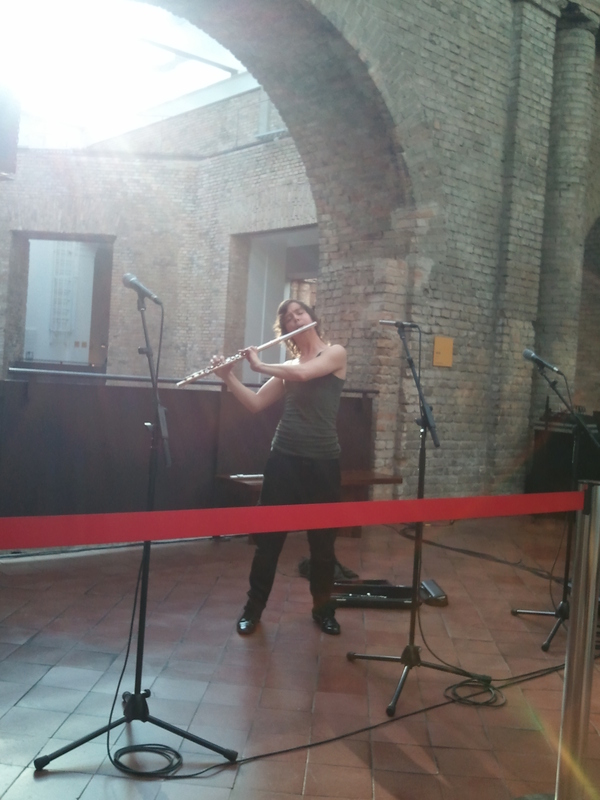 On the day we visited, an American flautist was setting up the sound equipment for a piece in which she used a delay to repeat her phrases so that she could accompany herself, on a quartet of flutes of different sizes. It made for a mesmerising sound, echoing across the glass-roofed interior and around the raw brick galleries. 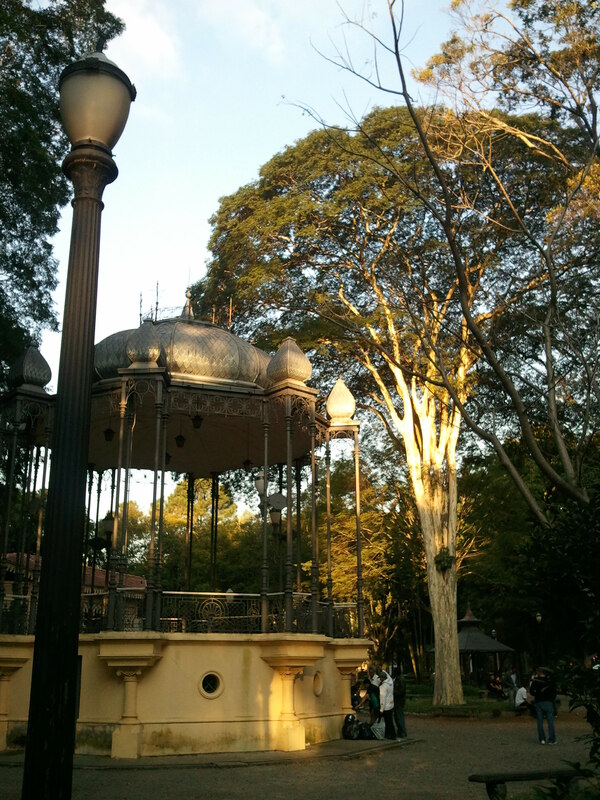 The gallery is set in the park of the Jardim da Luz, better known as the haunt of drug users and prostitutes than for its 19th century function as a botanical garden. Nonetheless it is a pleasant public space, complete with gravelled walks, statuary, pools and fountains, and an elegant art nouveau bandstand. On the day we were there, the group of men at its base were absorbed in their dice game. You had the impression that all the aspects of its heritage were still in full swing, except perhaps the music. People sat on benches in the dappled sunlight, enjoying the relative quiet and fresh air, walking with their young families, or taking a break from work. 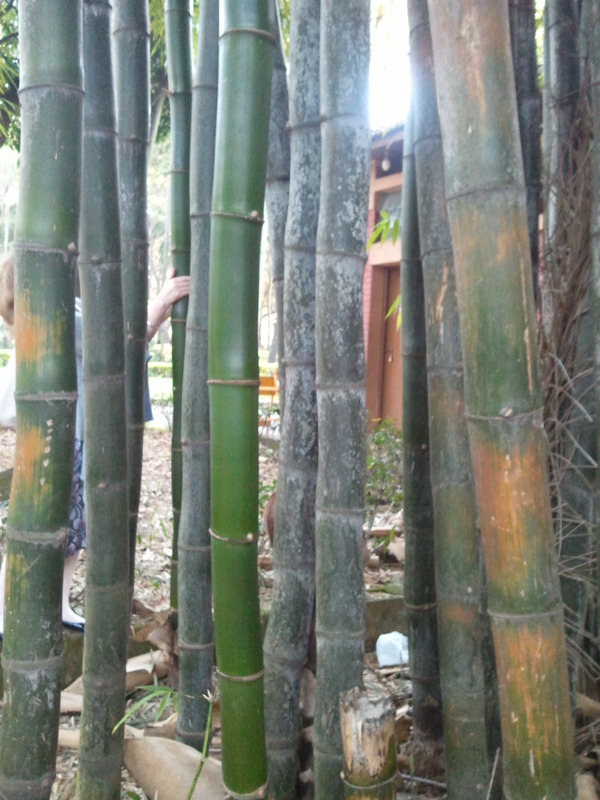 The mature planting cast cooling shade over it all.